Primitives is an installation that combines the romantic tradition of ruined landscapes with modular fractals. 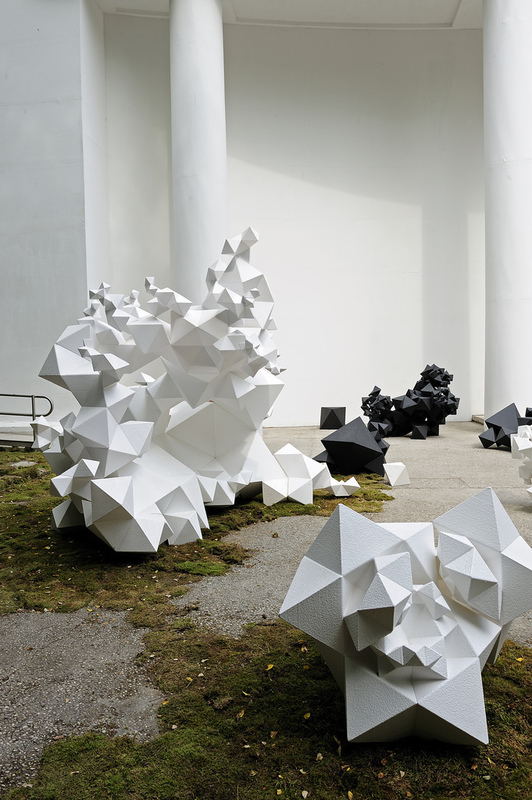 First realized across the entry of the Venice Biennale in 2010, it is comprised of loosely dispersed furniture elements that appear like rock piles, each one unique but formed from the same universal building block. Like microcosms in the distance, the clusters are imagined as islands falling apart and building back up, organizing and eroding at once.